Hiya guys! I hope you're a lot warmer than I am because Jersey is covered in snow. It feels so weird that Valentine's Day is like less than a week away and I am in a snow storm. Unfortunately for me this does mean rethinking my outfit choice. *Sigh* Luckily we don't have to worry about our nails! Speaking of which, today I'm sharing swatches for the Valentine's Day special polish Owl Be Yours by Nail Hoot. This is a limited edition shade, let's get to the swatches so you can nab yours while you can! Owl Be Yours by Nail Hoot is now available for purchase. 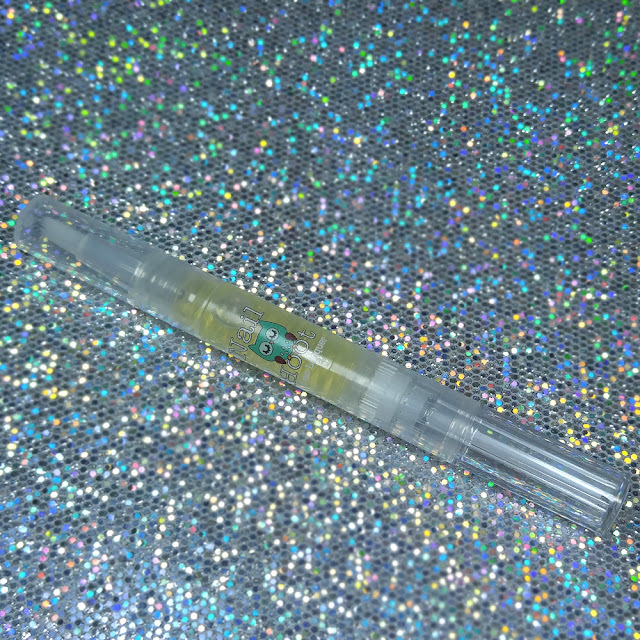 Each full-size 15mL bottle retails for $7, no mini-size option. Owl Be Yours can be described as a pink polish with a sprinkle of iridescent glitter, a pinch of holo goodness, and a slight blue-purple flash. The purple shimmer through the pink base is giving me life! I wasn't expecting to love this shade as much as I do. Initially I thought it might clash with my skin-tone, but I think it ends up pretty good. The formula has a jelly-like application, very sheer and takes a few layers to see the coverage. It does build up pretty well and has a good consistency. Plenty of glitter and every brush stroke as well. It dries minimally gritty, but smooths out perfectly with topcoat. Shown in three coats and sealed with a glossy topcoat. Although intended as a Valentine shade, I do think this works equally as well for the Spring. I can definitely see myself pulling this out around Easter time. Like always, I couldn't resist giving it the matte makeover! It really ended up giving the shade a more frosty and pearly look, which I wasn't expecting for some reason. I can't decide which version I like more, they are both so cute and girly. Along with the polish I also received a cuticle oil in the scent Kiss & Tell. The cuticle oil worked pretty well on me and was plenty moisturizing. I did feel like it took a while to absorb, around five minutes. But this could just be my body chemistry, just something to take note of. Besides that, I did really enjoy using this especially for the scent. It was very pleasant while swatching, the smells didn't clash at all which was nice. And it was also subtle enough to be worn right before going to bed. Now I don't usually do this, but since it's almost Valentine's Day... here's a look at my naked and stained nails. This is after a swatch session with the cuticle oil fully massaged into my skin. 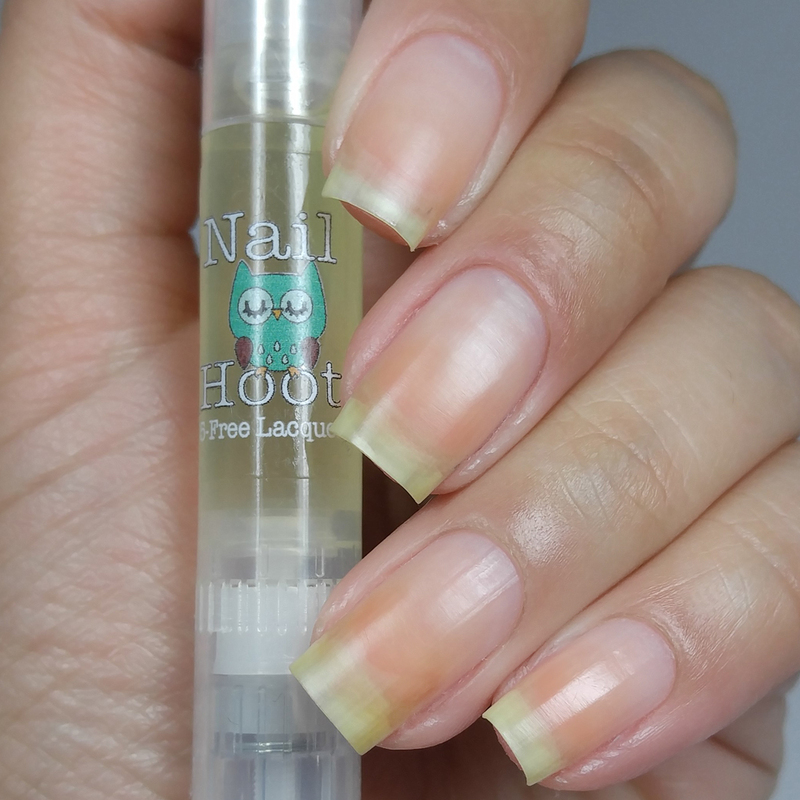 To recap, Owl Be Yours by Nail Hoot is now available for purchase. Each full-size 15mL bottle retails for $7, no mini-size option. So what do you think of the shade ? Let me know down in the comments! This is such a delicate polish! I love it matted! This is such a lovely pink!